Elder Ryan Bell Texas Houston Mission: This Week went by Fast!! This week went by pretty quickly... my goodness! I haven't read any of your e-mails yet, but I am excited to dive into the clear blue pools of words that I have waiting from all of your beautiful hands. I have been blessed with a wonderful and isatiable desire to want to improve even more in my ministry here; to have the Spirit more, to have more power, to work harder, to plan better, work more effeciently, to be more obedient, and to be more consecrated in every way possible. This is an awesome thing! It is also very hard when there are so many other factors that play into whether or not I will have my desires. So, it is definitely a great time of struggling for the greater good in a sea of obstacles, with sharks of terror and the burning oil of quickly passing time aflame atop the water. Mediocrity is perhaps my most hated enemy and we have been battling it out for months now. The struggle goes on. So, unfortunately I do not have many experiences to share from proselyting this week. But I do have an experience I cherish from a teaching visit with an investigator named Michael who is praying and seeking for the Lord's will in when he should be baptized. We met with Michael this week at the home of a member. He, as usual, came with many great questions and insights from his studying and reading in the Book of Mormon and elsewhere. It was a very spiritual meeting and the interesting thing is that we got through very little of the material we originally set out to teach. It was cool because it was an actual DISCUSSION, not a preachy sermon "lesson" that so many consider to be the golden standard. There was involvement, there was enlightenment, there was growth, and there was the Holy Ghost- the facilitator of all that was learned and gained there! To be honest, I don't remember half of what we talked about. But there was one moment when I truly saw and felt the power and authority which exists in a missionary and in missionary work. Michael expressed among the deepest and most sincere of human desires. Very thoughtfully he looked at his Book of Mormon and shyly but in a very straightforward way said, "I would really like to hear His voice someday. His real, actual voice." He remarked that after working at it everyday, he would be happy to get there. I looked at him and said, "Michael, you can!" Then he read D&C 67:10 "And again, verily I say unto you that it is your privilege, and a promise I give unto you that have been ordained unto this ministry, that inasmuch as you strip yourselves from jealousies and fears, and humble yourselves before me, for ye are not sufficiently humble, the veil shall be rent and you shall see me and know that I am—not with the carnal neither natural mind, but with the spiritual." He couldn't get through it without weeping. Now, I know what you are probably thinking, "Goodness, gracious! That is incredibly bold." Indeed, I would agree. 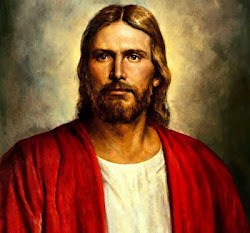 Telling investigators that they can literally hear the voice of Jesus Christ and see Him in person isn't something you would ever think of; but it is true. It is a PRIVILEGE and a PROMISE to all who earnestly desire and seek for such a privilege. The scriptures tell us very plainly that we are entitled to these crowning blessings of the higher priesthood, and they also tell us in equally simple terms how this can be done. This was such a great experience to me because being justified by the Spirit of Truth, I told a man that he could see the face of Jesus and hear His voice while he yet dwells in mortality. That is incredibly bold; but again, it is true. The Spirit bore witness of this truth to Michael as he wept, and to me as I tried NOT to lose it too. It was cool how this brought back into perspective that we do all that we do to advance our personal relationship with God, the Eternal Father and with our Savior Jesus Christ. They are real as we are real and we should seek to become like them! It is our privilege and a promise given that in this life, if we desire and meet the conditions, we can and will behold the face of our Redeemer. We will hear His voice and know with a perfect knowledge of His existence. Joseph Smith said this is something that everyone should seek for. This work is true! There is power in the gathering of the Lord's children as was evident at this meeting. The Spirit spoke to and taught all present in the way we needed, therefore showing how personal and loving our great God is! How I love Him and seek ever more to glorify His name! Let us all press for this that we know can be achieved! In the name of Jesus Christ, whose face we seek, amen.